In a collaborative study by ProNatura Chiapas, Defensores de la Naturaleza, Conservation International and CSF, we analyzed a dam proposed on the Usumacinta River in Mexico. 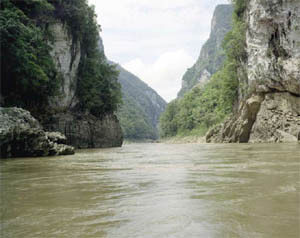 Our objective was to stimulate discussion on the costs and benefits of such projects in Mesoamerica's largest watershed. We chose to analyze the Tenosique project (formerly known as Boca del Cerro), given that it is apparently the dam being given the most serious consideration by planners. We analyzed the project with four criteria in mind: financial feasibility; economic efficiency; the distribution of costs and benefits; and environmental sustainability. A project is considered financially feasible if the firm implementing it receives income in excess of its costs. According to our calculations, the Tenosique project could generate between $248 million in net gains to $112 in losses, depending on what assumptions one uses for certain costs and benefits. What is clear, however, is that, without typical government subsidies, the project is not feasible, with losses of up to $219 million. All figures in terms of net present value (NPV). Economic efficiency is defined more broadly, looking at the costs and benefits experienced by Mexican society as a whole. The economic net present value in a best case scenario, without considering environmental costs, was estimated at -$19 million, meaning that Mexican society would lose at least that much wealth. The third criterion is that of the distribution of costs and benefits. This study underscores possible areas of inequity that arise from the project. As we understand the Tenosique dam plan, it would impose cash costs on the government, and do significant damage to natural resources and rural communities, while at the same time it could generate significant profits (or losses) for a private energy company. The final factor is that of environmental sustainability. As much as we might attempt to incorporate environmental costs in the economic analysis, the data and methods at our disposal are limited; it is not possible to monetize the impacts to all environmental goods and services. Therefore, it is important to point out, at least in qualitative terms, the potential environmental costs. Ideally, we would compare these to impacts of alternative energy projects. What can be said about this project is that it would create an ecological barrier in a high-biodiversity region, interrupting a variety of biological and social interactions. The greatest risk appears to be the hydrological changes brought by the dam, which put in doubt the ecological health of areas both above and below the reservoir. Of particular concern are impacts on the downstream wetlands. These externalities would be indirectly absorbed by society at large by way of public and private investments to mitigate damage, through the reduction of local production, and through the loss of biodiversity. These results suggest that the Tenosique project needs to be reevaluated. The project has apparent shortcomings in terms of efficiency, equity and sustainability, which leads us to the conclusion that it would be worthwhile to investigate lternative projects in the same and other watersheds, or even different forms of energy to better meet both development and conservation goals.